The weather is finally starting to get a little better in The Netherlands! That’s why I decided to make these Tropical Truffles. 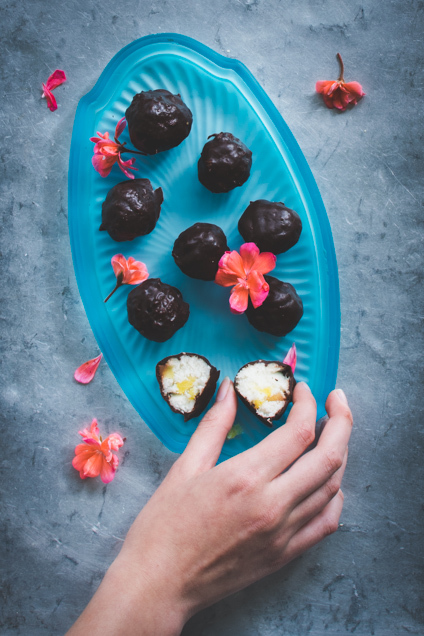 These delicious truffles include all kinds of tropical flavors that make you think of the beach. Besides being delicious, they’re pretty healthy too! It is a very easy recipe that only has 5 ingredients. Basically all you have to do is combine the ingredients, make them into little balls and cover them with chocolate. And when you take a bite, it will feel like summer! 1. 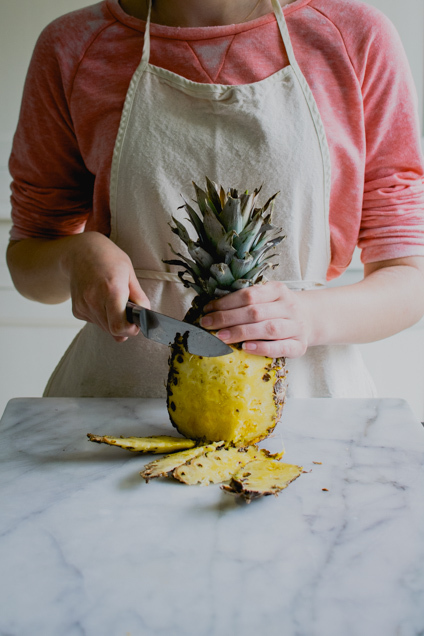 Finely chop the pineapple (the pieces should be really small). 2. Melt the coconut oil, if it’s not already in liquid form. Put the desiccated coconut in a bowl. Mix in the coconut oil and the maple syrup and stir until well combined. Add the pineapple and mix well. Put the mixture in the fridge for about 30 minutes, or until you can squeeze it without it falling apart. 3. Melt the chocolate in a double boiler (or a microwave). 4. Take the coconut mixture out of the fridge and roll it into about 25 little balls. Cover a baking sheet with parchment paper. Dip the balls into the melted chocolate. I used a handy spiral dipping tool (see 2nd picture) but you can also use a fork. 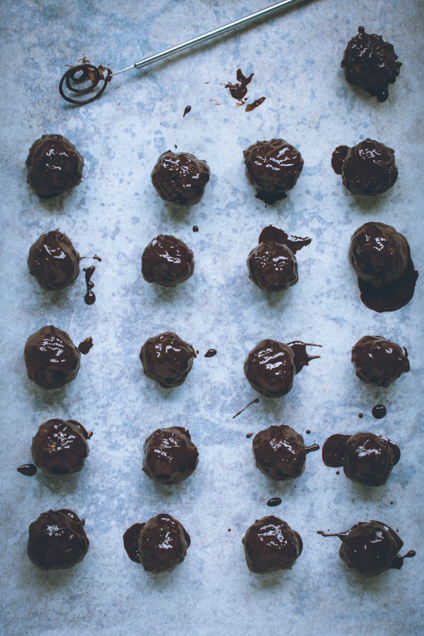 Lay the chocolate balls on the prepared sheet. 5. Put the baking sheet in the fridge for about 30 minutes, until the chocolate has hardened. You can keep them in a container in the fridge for about a week.